DIRECT FROM LOURDES - Lourdes Round Medal Key Chain in a Gift Box. 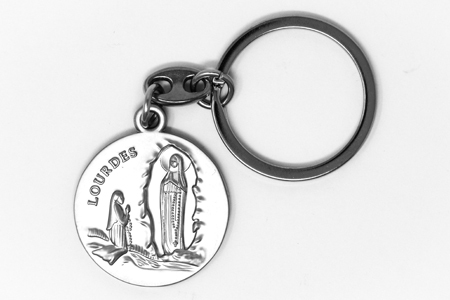 Lourdes Round Medal Key Chain in a Gift Box. Lourdes medal key chain with a small depiction of St.Christopher on the reverse in presented in a gift box.